We offer the opportunity to be part of the audience club of La Fundació La Ciudad Invisible, closely linked to Temporada Alta. 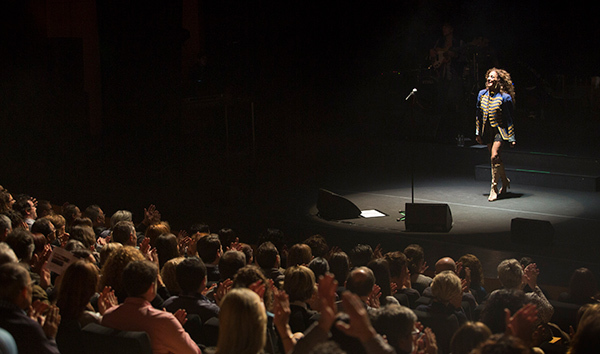 Belonging to the Club means you can enjoy a range of advantages: preferential ticket purchasing for Temporada Alta, invitations to open rehearsals or pre-première events, discounts on full ticket prices, meetings with artists and companies (post-production events, talks, presentations, audience workshops…). The members of El Club are not just cultural consumers, they are active participants. 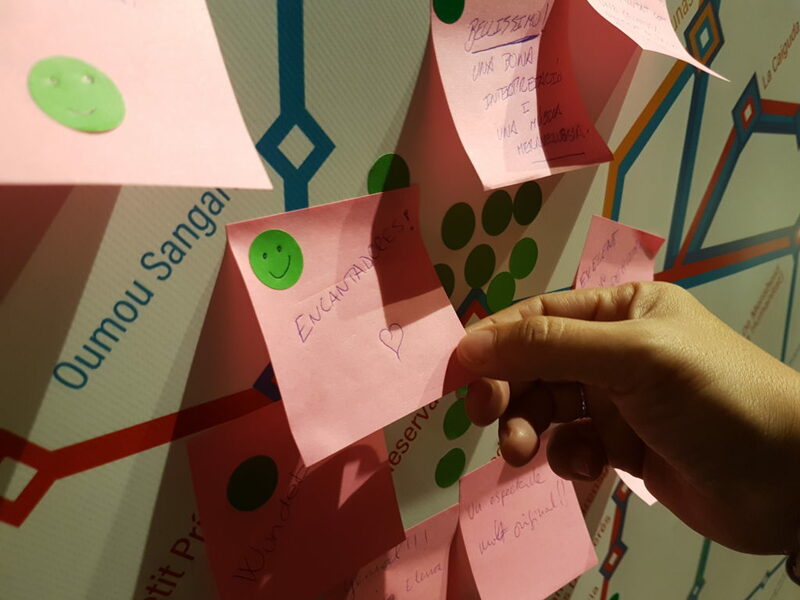 In addition to enjoying advantages and exclusive offers, members of El Club are part of in a new cultural system which takes into account their opinions, their ideas and their suggestions. 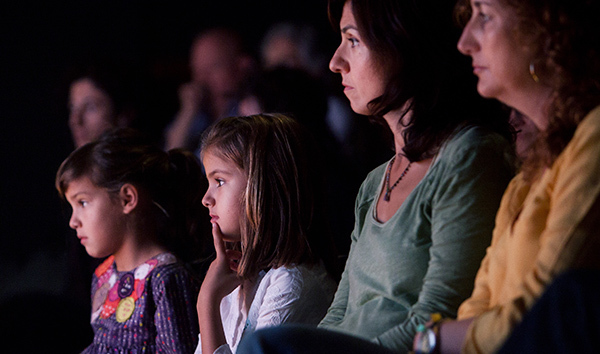 We promote a programme of activities to take the theatre into libraries, bringing Temporada Alta to less conventional places, but which are important points of cultural reference for citizens. In this regard, various initiatives have been organised: talks, presentations, reading groups… Events will be held in the public libraries of Girona, like the presentation of the Temporada Alta programme by Salvador Sunyer (director of the Festival) and reading groups focusing on play scripts promoted by the TNC (Catalunya National Theater) and the Department of Culture’s Library Service. Llibràlegs, or dialogues amongst books, is another one of the ideas which has been repeated over recent years. 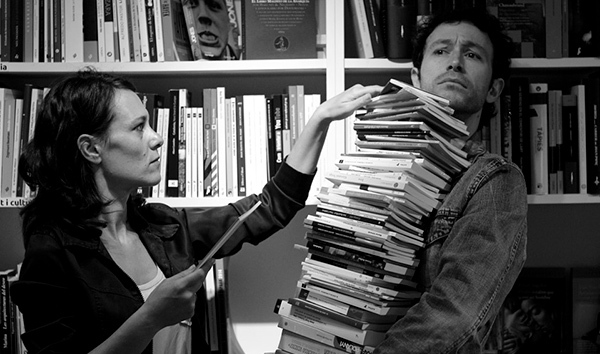 It is an exchange of brief dialogues between actors, which take place in libraries: a unique experience in a unique setting. Books and the written word as casual protagonists of the Festival. We want to be at our audiences’ side, make them active participants in the Festival and involve them in other areas of the performing arts experience: creative processes, organisation and production of cultural events, participation in programming, publicising and prescription of productions… We regard our audiences as an active part of the programme, as observers and creators of stories and opinion, and not just mere consumers. For this reason we open the doors to various forms of audience participation: we programme productions which involve audience participation, we offer tools and dynamics for evaluation of productions after the event, we open up channels for reflection and opinion through social networks. In addition, we count on the assistance of volunteers who participate in tasks of communication, production and patronage. 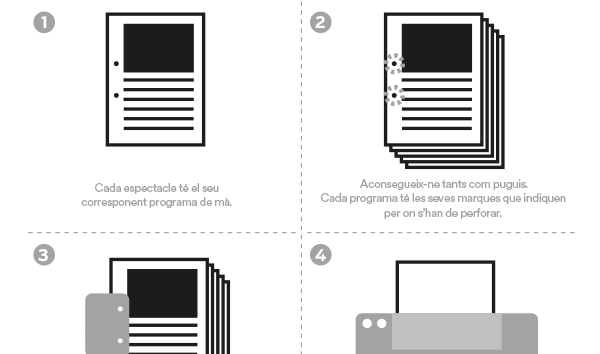 Enganxa’t a TA is a campaign launched by El Club de La Ciutat Invisible, a fun and original way to gather your opinions. Before and after some events we put out a big canvas with a map of the Festival productions where you can leave your ratings and comments. You can put a coloured sticker if you only want to rate it, or a post-it with your thoughts if you want to comment. Would you like to see Temporada Alta promotional video? Download the Layar application and you can activate it with images of the Festival. 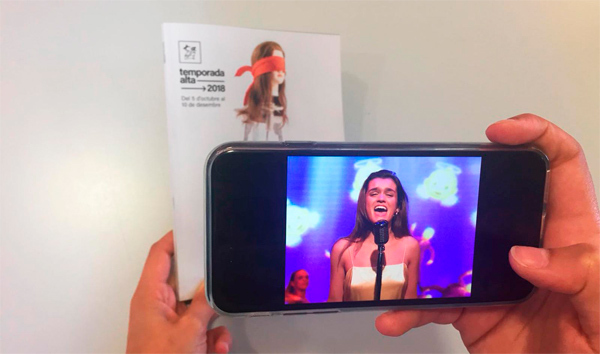 Take photos of Temporada Alta posters or programmes with your mobile phone and instantly enjoy the promotional video. Layar is an augmented reality browser, a reader of image patterns, that means we can continue to innovate and add new applications to the graphic features of the Festival. We encourage you to keep the programmes of the productions you’ve seen. Each programme is designed with a series number, information about the play and an extra contents section. Once Temporada Alta is over, we will provide you with an exclusive cover and binding instructions to create your own Festival souvenir album.